She’s a prolific scholar and a nationally respected legal expert. She’s a Yale JD who studied at Oxford and graduated from Wellesley. She’s earned an MPH and a PhD in higher education. Now, Jennifer Bard adds another distinction to her extensive CV—she’s the first female to be named dean of the University of Cincinnati’s College of Law. She will also hold a secondary faculty appointment in the Department of Internal Medicine in UC’s College of Medicine. After spending more than a decade at Texas Tech University in Lubbock, Texas, Bard comes to UC as the result of an extensive national search. Her history of working closely with medical professionals and researchers, as well as her ongoing experience in faculty development and research, drew praise from search committee members, faculty, students, community members and administrators. 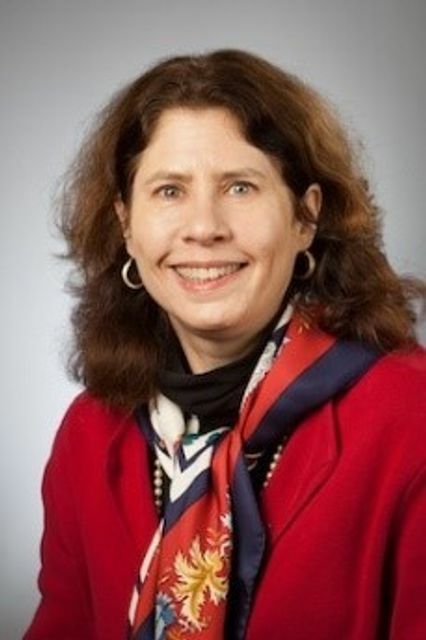 Bard, who will start her new position July 1, 2015, currently serves as special assistant to the provost for academic engagement at Texas Tech, where she is also the Alvin R. Allison Professor of Law and directs the JD/MD program as well as the Health Law concentration program. She also served as a faculty member at Texas Tech University Health Sciences Center and in the Graduate School of Biomedical Sciences. She has written extensively about bioethics, legal protection for whistleblowers, human subject research, reproductive technology and health care reform, as well as health care concerns in vulnerable populations. She is a peer reviewer for MIT Press, Oxford University Press, the American Journal of Bioethics, the Yale Journal of Health Policy, Law, and Ethics, and the Robert Wood Johnson Foundation, among others. She is also a prolific op-ed writer, with opinion pieces published in a wide range of prestigious outlets, including The New York Times, the Houston Chronicle, the Austin American-Statesman and the Des Moines Register. “She is exactly what our college of law needs now,” said Doloris Learmonth, a UC College of Law alumna who has served as the president of the Cincinnati Bar Association and was the first woman to lead a large Cincinnati firm. Taft is a UC College of Law alum who served as President of the United States, Chief Justice of the U.S. Supreme Court and dean of his alma mater. Bard follows Louis D. Bilionis who has decided to return to full-time teaching after serving two terms, as dean. The search committee for the new dean was chaired by David Szymanski, dean of the Lindner College of Business. Ranked by the National Science Foundation among the top 20 public, urban research universities in the United States, the University of Cincinnati traces its origins to 1819. UC's faculty has distinguished themselves worldwide for their creative teaching and research, serving a diverse enrollment of more than 39,000 students. The University’s 15 Colleges set the foundation for a university dedicated to undergraduate, graduate, and professional education, experience-based learning, and research.